Trying to figure out how much your nursing home case is worth? There is no perfect path. One resource is sample verdicts and settlements. These are sample verdicts around the country in nursing home abuse and neglect. Most of these cases are national in scope. Few nursing home cases go to trial in Maryland. You can get Maryland nursing home wrongful death verdicts and settlements here. Nickel v. Evangelical Lutheran Good Samaritan Society (Iowa 2018) $500,000: 83-year-old female suffered, among other things, a skull fracture and multiple broken bones, and died after she fell from a ‘hoyer’ mechanical lift during a transfer by staff while a resident at defendant nursing home. Plaintiff contended the defendant negligently failed to ensure the patient was properly placed in the lift/sling, failed to exercise ordinary care to ensure the patient was safe and secure, failed to properly attend to the patient while in the lift and failed to properly document known unsafe conditions. The defendant denied liability and contended that the decedent was comparatively negligent in making an intentional movement in the lift during the transfer. Jurors found the defendant negligent and awarded the plaintiff $500,000. Fratto v. Wingate of Dutches Inc. (New York 2018) $175,000: The nursing home staff accidentally dropped an 88-year-old patient while she was being transferred resulting in a broken leg. Patient had previously undergone a total knee replacement which further complicated and aggravated her recovery from the leg fracture. The decedent was in the nursing home for unrelated reasons and was not mobile. She later died from unrelated causes and her estate sued the nursing home for negligence in the prior falling incident. The case settled prior to trial for $175,000. Estate of Mary J. Bays v. Signature Healthcare L.L.C (Kentucky 2018) $67,167: A deceased patient lived at the Riverview Manor Nursing Home in KY. Negligent care by the staff at the nursing home had allegedly caused the patient’s severe personal injuries that subsequently resulted in her death. Patient’s estate sued for wrongful death seeking damages for funeral expenses, personal injuries, pain and suffering, mental anguish and loss of enjoyment of life, together with punitive damages. Both parties agreed to settle for $33,333.33. However, due to a violation of terms, the court entered a judgment in the amount of $66,666.66. (Yes, this is a pretty bizarre fact pattern). Patient’s Estate v. Nursing Home Roe (Massachusetts 2017) $200,000: The plaintiff alleged that the defendant nursing home and its staff were negligent in failing to properly supervise the decedent who required supervision while ambulating with her walker. The decedent fell and struck her head, suffering a fatal brain hemorrhage. The plaintiff’s estate brought suit against the defendant nursing home alleging negligence in failing to follow the care plan and properly supervise the decedent. The defendant disputed the plaintiff’s allegations and disputed causation and damages. The claim was resolved at mediation for the sum of $200,000. Decedent Patient v. Nursing Home (Massachusetts 2017) $3 million: A 69-year-old male decedent was a resident at the defendant’s nursing home. He was quadriplegic and required assistance with all daily life tasks, including transfers in and out of bed. On the date of the incident, staff members were using a Hoyer lift, which they regularly used to transfer the decedent. During the process of transferring, the decedent was dropped on his head. As a result, he suffered a massive bilateral subdural hematoma and died from those injuries approximately one week following the incident. The suit accused the nursing home of failing to properly supervise and train its staff in use of the lift for transferring. The parties resolved the matter for $3,000,000. Jackson v. SSC Silver Stream Operating Company (North Carolina 2017) $13,109: An adult (non-senior) nursing home patient died following a fall from his motorized wheelchair when he struck his head on a curb due to the alleged negligence of the nursing home staff. The plaintiff estate contended that the defendant’s employee failed to properly supervise the decedent allowing him to exit the facility on his own. It was also alleged that the wheelchair ramp was not clearly marked. The defendant denied the allegations. A jury awarded $13,109.45 in economic damages. Veteran’s Estate v. Nursing Home (Massachusetts 2017) $962,500: A 73-year-old male patient was a veteran suffering from dementia and had difficulty swallowing his food. He had two prior incidents while in the defendant’s care where he had choked on food, but the family was never notified. The defendant required staff to accompany the decedent to the dining room and assisted him with his food choices since he did have difficulty swallowing. The defendant was left unattended and choked on a large piece of meat. He was transported to the hospital but died shortly after the arrival. His estate sued, alleging that the nursing home was aware of the decedent’s need for supervision and left him unsupervised. The defendant denied allegations. The parties agreed to resolve the plaintiff’s claim for the sum of $962,500. Decedent’s Estate v. Nursing Home Defendant (Massachusetts 2017) $625,000: A 45-year-old man suffered from a brain injury, dementia, and had a compulsive chewing disorder. The decedent was left unattended by the nursing home for approximately five hours. During this time, he obtained a latex glove that was negligently left within his reach by the staff and began chewing on it, choked, and died. His estate brought suit against the defendant nursing home alleging negligence. The plaintiff contended that the defendant nursing home knew that the decedent suffered from this condition and items that could pose a choking hazard could not be left within his reach. The plaintiff further alleged that the defendant was negligent in failing to properly supervise and monitor the patient and failing to have sufficient staff to properly monitor patients. The parties agreed on a settlement of $625,000. Munford v. Manor Care of South Holland (Illinois 2017) $160,000: A patient reportedly fell and suffered an intracranial bleed and subsequently died at the nursing home. Her estate sued, claiming that the defendant negligently failed to adequately assess the decedent’s risk for falls, failed to develop adequate fall preventions, failed to monitor and supervise the decedent, failed to protect the decedent from injury or failed to provide sufficient staffing to be able to provide adequate care to residents. The parties entered into a settlement agreement in the amount of $160,000. Hardy v. Brookdale Senior Living Communities. (Washington 2017) $76,920: An 88-year-old plaintiff was found on the floor of her room with extensive bruising. After this incident plaintiff's door lock to her room was changed to a self-locking doorknob, nursing home staff were instructed to pull on the handle to make sure it was closed and locked whenever they passed by her room. Plaintiff claimed that hinges on the door were not changed and nothing further was done to assure that plaintiff’s room door remained closed. Another resident who had a reputation for agitation and aggression assaulted plaintiff. Six days later, the same resident was left unattended and he pushed open plaintiff’s door that had been left ajar. This caused the plaintiff to fall and fracture her hip. After a bench trial, a judge awarded the plaintiff $76,920. January 2016, New York: $350,000 Settlement:A 78- year-old resident fell and sustained left tibia and fibula fractures and died six days after the fall. Her family maintained that fall was caused by negligence and that her cardiac condition was the real cause of her death (and she only suffered for six days from the fall). They also denied responsibility, which is not difficult in most of these fall cases with a substantial factual predicate. This a terrible settlement for a wrongful death case generally but probably a good outcome based on these facts. March, 2014, Maryland $1,000,000 Verdict. An 86-year-old nursing home resident was sick. She has a fever, was vomiting, and developed severe diarrhea that continued unabated. A certified aide was told to evaluate the woman. But she never got around to it. Her condition gets worse. She begins to have rectal bleeding. The nursing home's solution? Stick her in a recliner. Her son comes to see her in the morning and realizes the severity of her condition. But it is too late. Jury awards the woman's family $1 million for her wrongful death and survival action claims. The award is reduced to $710,000 after the application of the Maryland cap on noneconomic damages that applies in nursing home cases. January 2014, Alabama: $400,000 Arbitration Verdict: A 101-year-old man - the oldest victim we have seen looking at these cases - had a man - the oldest victim we have seen looking at these cases - had a feeding tube placed in his abdomen. The staff was directed to keep his head elevated at all times. A daytime sitter was hired by the family to assist in his care. The sitter arrived one afternoon to find the man gasping for air and feeding formula coming out of his mouth. He was rushed to a local hospital where he was found to have choked on the feeding formula in his lung. He died five days later. The man’s daughters sued the nursing facility for negligence and wrongful death. They claimed the nursing staff failed to keep the head of the bed elevated and failed to monitor the decedent. Defendant denied all allegations and argued that the fault was that of the sitter. The Plaintiff's lawyer in this case, JP Sawyer, told us something we did not know about Alabama law: the only damages you can recover in a wrongful death case are punitive damages. Crazy, right? This case went to arbitration and the arbitrator awarded $400,000. September 2013, Mississippi: $1,000,000 Verdict: A 78-year-old, widowed housewife and mother of nine began her residency at Cleveland Nursing & Rehabilitation Center. Upon her arrival, she suffered from Alzheimer’s and dementia and was noted for having a frail condition. About two weeks into her stay, she was pushing a food tray down the hall and sustained a fall. Not even a week later she sustained another fall when she attempted to get out of her wheelchair. She was taken to a local hospital where she was diagnosed with a broken hip and emergency surgery was conducted. Unfortunately, she died six days later from a pulmonary embolus that the physicians had unanimously linked to the hip fracture. The woman’s estate sued Cleveland Nursing & Rehabilitation Center for nursing home neglect, alleging the facility did not monitor the decedent adequately. Plaintiff claimed that although the nursing home used a body alarm, it was not effective because the decedent could still wander away from her wheelchair after it was applied. They claimed she should have been temporarily restrained to the wheelchair when not being monitored by the nursing staff. Plaintiff also alleged that the nursing home was not adequately staffed at the time of the occurrence. Defendants denied liability claiming that the decedent was properly monitored and that the staffing levels met all necessary standards of care. Defendants also argued that using restraints on the decedent’s chair would not have been appropriate for her conditions. The jury found on behalf of the decedent and awarded the Plaintiff $1,000,000. Plaintiffs prevail in a remarkably high 63% of trials. Why? Jurors get that we have a nursing home problem. Check out the statistics. September 2013, Ohio: $375,000 Verdict: A 70-year-old man was admitted to McCrea Manor Nursing and Rehabilitation Center with a history of respiratory failure. He required an oxygen concentrator and BiPap machine at all times. One evening during a storm, the nursing home lost power, and his breathing apparatus stopped functioning. He was found unresponsive in his room later that night and was quickly rushed to a hospital. Unfortunately, he died shortly after that from cardiac arrest caused by respiratory failure. The man’s daughter sued the nursing home on his behalf for negligence. She claimed that less than two months before her father’s death, the nursing home had experienced a similar power outage which should have brought light to a lack of a backup battery and outlet to prevent such incidents from occurring. A jury found on her behalf and awarded her $375,000 in compensatory damages. August 2013, Pennsylvania: $65,000 Settlement: An elderly woman had recently been treated for a lower left leg fracture while staying at Extendicare Health Services. She had been cast by an orthopedist who had advised that she be mobilized and that her heel should be kept off the bed, as it showed symptoms of a superficial sore. Two months after her injury, the cast was removed. She was placed in an immobilizer. But a month later, it was observed that two pressure sores had developed on her left leg. The orthopedist determined she should no longer use the immobilizer and must keep her legs off the bed. For one reason or another, the staff did not discontinue the utilization of the immobilizer and made no attempts to keep her leg off the bed. Within two months, the bedsores had worsened to the point where the elderly woman’s left leg needed to be amputated. Her condition only worsened, and she passed away shortly after that. Her estate sued on her behalf claiming the nursing home was negligent in failing to obey the doctor’s orders and allowing the decedent’s condition to deteriorate. Plaintiff claimed the Defendant neglected to provide proper pressure sore prevention and adequately assess her condition. Defendants denied all liability. The parties settled before proceeding to trial for $65,000. June 2013, New Jersey: $1,100,000 Verdict: Plaintiff was already in a tight spot. Only 57 and already diagnosed with Alzheimer’s and uncontrolled diabetes, she was admitted to Eastern Pines Convalescent Center in Atlantic City. Only two weeks after her arrival she went into hypoglycemic shock, was rushed to a hospital, and passed away shortly after that. Her daughter sued on her behalf, claiming that the nursing facility failed to adequately monitor her mother’s diet as they coincided with her medication. Plaintiff also alleged the nursing facility was understaffed at the time of the occurrence. Defendants denied liability contending that a proper meal monitoring plan was in place (although at the time of trial, they were unable to produce any forms evidencing such claims). They also stated that they followed the appropriate standard of care and that the decedent’s death was unpredictable and not preventable. An Atlantic County jury found on behalf of Plaintiff with an award of $1,100,000 in damages. June 2013, Pennsylvania: $150,000 Settlement: An 87-year-old resident of River’s Edge Nursing and Rehabilitation, who had earlier been assessed as a significant fall risk, had a Posey alarm and floor mats installed in her room. Not even a day after her arrival she was found on her bedroom floor. Despite the indication that their initial set up was ineffective, the facility chose against making any alterations to her care plan. One month later, an attending nurse contacted the woman’s primary care doctor and requested to have the alarm and mats removed from the woman’s room. The request was granted. The following week the woman was once again found on her floor. This time, the fall was much greater, and she was diagnosed with a hip and wrist fracture. Unfortunately, because of her multiple disorders, she was not considered a viable candidate for surgery. She remained bedridden for four months until her death. Her estate sued the nursing home and primary care physician for negligence. Plaintiff alleged the nursing home was negligent in failing to provide adequate fall prevention. Plaintiff further alleged that the doctor was negligent for permitting the facility to remove the fall prevention measures. Both defendants denied liability. Defendant physician maintained that he made all decisions based on medical records provided by the staff. Defendant nursing home settled with the estate for $150,000 but remained as a defendant during the trial. A Philadelphia jury did not find the primary care physician negligent, attributing 100% negligence to the nursing home. May 2013, Arkansas: $5,200,000 Verdict: A 76-year-old resident was being treated for a stroke. She had severe abdominal pain. The staff chose to wait approximately 12 hours before notifying her physician. The physician responded by fax - by fax! - that the woman should be taken to a local ER for a CT scan. The fax never reached the staff, and the woman was not taken to the emergency room. She died the next day from sepsis relating to a pelvic abscess. Her children sued the nursing facility, claiming the facility left the woman to lie in her bed making loud complaints of pain for over 12 hours before doing anything. Just awful. The defense? She complained a lot. The jury gave that defense what it deserved: a $5.2 million verdict. March 2013, Massachusetts: $250,000 Settlement: An elderly man with schizophrenia began his stay at a local nursing home. The staff was directed that he could not receive anything by his mouth and that he needed to be checked on every 15 minutes to make sure he did not place any foreign objects into his mouth. So, sure enough, he is taken to the ER after swallowing a coffee cup lid. It turns out, an abdominal examination showed that the man had swallowed some foreign objects including a crucifix, rosary beads, a rubber glove, and a wooden tongue depressor. He filed a negligent supervision case. Let's be honest. These are tough cases. Why? Two reasons. First, the injuries were not significant. Second, juries are going to think that, over the long haul, it is tough to keep someone from swallowing something if they are bent and determined to do so. Would our firm take this case? No. July 2012, California: $1,840,000 Verdict: An 85-year-old woman had been admitted for a short term stay at Mills-Peninsula Skilled Nursing after receiving a hip replacement surgery. Two weeks into her stay, her sister visited and noticed the woman was in a lot of pain and unable to put any weight on her right leg. An X-ray performed the following day revealed a dislocated right hip. After painful surgery to remove her hip prosthesis, the woman was confined to a wheelchair until she was able to undergo revision surgery. Due to a slow recovery, she was unable to return home. The woman sued the nursing facility for negligence. She alleged the defendant neglected to adequately provide medical care and document a fall that she claimed caused the dislocation. She was ultimately awarded $1,840,000 for punitive damages by a Superior Court jury. June 2010, Kentucky: $7,120,000 Verdict: A 67-year-old woman who suffered from rheumatoid arthritis had been admitted to Hillcrest Nursing Home of Corbin, Inc. for rehabilitation following a knee surgery. During her stay, she called an aide to assist her to her bedside restroom. The aid entered the room, put the woman’s legs over the bed, and left. She claimed that she was “too busy” to assist the elderly woman and that she could take herself to the bathroom. After attempting to stand, the woman was unable to get to the restroom in time and urinated on herself. As if the situation were not difficult enough, she then slipped on the urine, and the impact of the fall was so great that her knee incision reopened. She was rushed to a hospital. At that point, her blood loss was so great from the opened incision that she required resuscitation. She remained hospitalized for two months and required multiple surgeries. As a result of the fall, she was not able to return to independent living and continuously suffered from recurrent infections. She sued the nursing home for negligence, alleging they had staffed their facility with an uncertified aid and covered up documents relating to the fall. The matter continued to trial where a Kentucky Circuit Court jury found for the Plaintiff. She was awarded $7,120,000 for damages. March 2013, Oklahoma: $4,500,000 Verdict: A 77-year-old woman with severe Alzheimer’s disease was found out in the facility’s television area with a body temperature below 85 degrees. What happened? Plaintiff's wrongful death lawsuit claimed the Defendants left a door of the unit unlocked, which allowed the woman to walk around the facility freely and unattended. A jury thought that was as crazy as we did and hit the nursing home with a $4.5 million verdict. Keep in mind this is a list of cherry-picked winning cases. You cannot use these verdicts to determine that value of your case. One case, even a similar sounding case, is a poor predictor of the outcome of another. 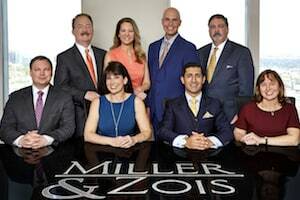 Our experienced attorneys handle nursing home cases in the Baltimore-Washington area. If you have been hurt or if you have a wrongful death claim, call us at 800-553-8082 or get a free case evaluation online. 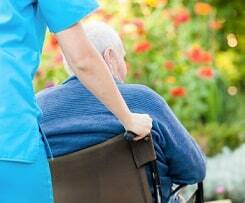 What kind of nursing home lawsuits are filed in Maryland? Take a look at the details of on Maryland nursing home cases that were filed with Health Claims Arbitration. How long to get to trial? A sample scheduling order.